Arthur Kleinman is the Esther and Sidney Rabb Professor, Department of Anthropology, Harvard University and Professor of Medical Anthropology in Global Health and Social Medicine and Professor of Psychiatry, Harvard Medical School. As of July 2008, he is the Victor and William Fung Director of Harvard University's Asia Center. In 2011, Arthur Kleinman was appointed to the honorific position of Harvard College Professor. 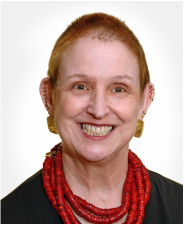 Dr. Kleinman is a leading figure in several fields, including medical anthropology, cultural psychiatry, global health, social medicine, and medical humanities. Since 1978, he has conducted research in China, and in Taiwan from 1969 until 1978. Kleinman is a member of the Institute of Medicine of the National Academies and of the American Academy of Arts and Sciences. The 2001 winner of the Franz Boas Award of the American Anthropological Association (its highest award), Kleinman is a distinguished lifetime fellow of the American Psychiatric Association. A former Guggenheim Fellow, Kleinman has been Cleveringa Professor at the University of Leiden and Royal Society Visiting Professor at the University of Hong Kong. 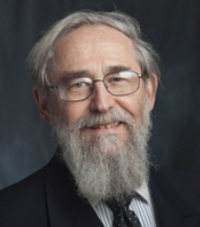 Kleinman is the author of six books, coauthor of two others, coeditor of nearly 30 volumes and seven special issues of journals, and author of more than 300 articles, book chapters, reviews, and introductions. Professor Kleinman’s co-authored a collaborative volume entitled Deep China: The Moral Life of the Person: What Anthropology and Psychiatry Teach Us About China Today. He is also co-editor of a forthcoming volume: Mental Illness and Substance Abuse in Africa. His co-edited volume Governance of Life in Chinese Moral Experience: The quest for an adequate life has recently been published by Routledge. He has co-authored articles on stigma and mental illness and on the appropriate uses of culture in clinical practice. He is the author of several articles in The Lancet on caregiving and global mental health, values in global health, and the moral cultivation of the self as a way of reforming medical education via the medical humanities. Dr. Ahsan Arozullah is currently a medical director in patient safety and pharmacovigilance at Astellas Pharma Global Development. Prior to joining Astellas, he was an Associate Professor in the sections of General Internal Medicine and Health Promotion Research at the University of Illinois at Chicago with research interests including the impact of low health literacy and social support on racial/ethnic disparities in healthcare utilization. He continues to mentor fellows and junior faculty members as a clinical associate professor at the University of Illinois. 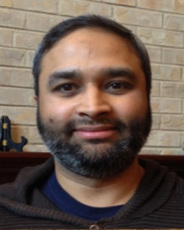 Dr. Arozullah is a senior student member of the board of directors of Darul Qasim, an institute of higher Islamic learning. He also serves as a volunteer physician and a member of the advisory board for the IMAN (inner-city Muslim Action Network) Health Clinic Initiative, a free health clinic in the Chicago Lawn neighborhood. Dr. Arozullah graduated from Northwestern University Medical School and completed his Internal Medicine residency and Chief Residency at Northwestern as well. Following residency training, he completed a General Internal Medicine Fellowship and Master's in Public Health (MPH) at Harvard with training in clinical epidemiology and health services research. 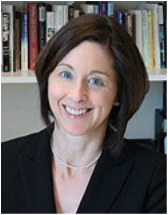 Dr. Linda Barnes is a Professor in the Departments of Family Medicine at Boston University School of Medicine, and the Division of Religious and Theological Studies at Boston University. A medical anthropologist, religion scholar, historian, and medical anthropologist, she co-founded and directs the Boston University M.A. Program in Medical Anthropology and Cross-Cultural Practice, which includes a track in the study of religions, medicines, and healing. She is committed to including an understanding of the healing practices of culturally complex patient populations in the training of clinicians, and to helping clinicians to better understand how religious worldviews play a part in-patient and family understandings of illness and healing. Dr. Barnes also co-edited Religion and Healing in America with Dr. Susan S. Sered (Oxford University Press, 2005), and Chinese Medicine and Healing: An Illustrated History with Dr. T.J. Hinrichs (Harvard University Press, 2013). Her historical scholarship appears in her book Needles, Herbs, Gods, and Ghosts: China, Healing, and the West to 1848 (Harvard University Press, 2005). Rabbi Saul J. Berman is currently an Associate Professor of Jewish Studies at Stern College in Yeshiva University. He also serves as an adjunct Professor at the Columbia University School of Law, where he teaches a seminar in Jewish Law. Rabbi Berman was ordained at Yeshiva University, from which he also received his B.A. and his M.H.L. He completed a degree in law, a J.D., at New York University, and an M.A. in Political Science at the University of California at Berkeley. In 1971, Rabbi Berman was appointed Chairman of the Department if Judaic Studies of Stern College for Women of Yeshiva University. Under his leadership over the next thirteen years, it grew into the largest undergraduate Department of Jewish Studies in the United States. From 1995 to 1997, he served as Scholar in Residence at the JCC on the Palisades in New Jersey. In 1997, Rabbi Berman became Director of Edah, a new organization devoted to the invigoration of modern Orthodox ideology and religious life. Rabbi Saul J. Berman is a leading Orthodox teacher and thinker. As a Rabbi, a scholar, and an educator, he has made extensive contributions to the intensification of women's Jewish education, to the role of social ethics in Synagogue life, and to the understanding of the applicability of Jewish Law to contemporary society. Rabbi Berman is a contributor to the Encyclopedia Judaica and is the author of numerous articles, which have been published in journals such as Tradition, Judaism, Journal of Jewish Studies, Dinei Yisrael, and many others. His writings on the subject of women in halachah and on issues of halachah and contemporary society have often been reprinted. Heather D. Curtis is an associate professor in the Department of Religion at Tufts University. She received her doctorate in the History of Christianity and American Religion from Harvard University in 2005. She is the author of Faith in the Great Physician: Suffering and Divine Healing in American Culture, 1860-1900 (Johns Hopkins University Press, 2007) which was awarded the Frank S. and Elizabeth D. Brewer prize from the American Society of Church History for the best first book in the History of Christianity. Her work has also been supported by the Louisville Institute, the Young Scholars in American Religion Program, the Charlotte W. Newcombe Foundation, the Lilly Endowment, the Center for the Study of World Religions at Harvard University, and the Institute for the Study of American Evangelicals. Her current research project, Holy Humanitarians: American Evangelicals and Global Aid (under contract with Harvard University Press) examines the crucial role evangelical missionaries and popular religious media played in the extension of US aid abroad from the late-nineteenth to the mid-twentieth century. Analyzing the influence of missionaries and media on the emergence and development of international humanitarianism exposes the inextricable, yet deeply ambivalent and frequently contested links between practices of Christian charity and US imperialism. Articles on aspects of this research have been published in Material Religion: A Journal of Objects, Art & Belief; Church History: Studies in Christianity and Culture; and The International Bulletin of Missionary Research. 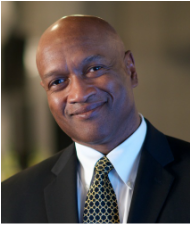 Pastor Ray Hammond is a graduate from Harvard College and Harvard Medical School, and completed his surgical residency at the New England Deaconess Hospital (Boston, MA) and joined the Emergency Medicine staff at the Cape Cod Hospital (Hyannis, MA). Pastor Hammond accepted the call to the preaching ministry in 1976 and since 1988 co-founded and pastored the Bethel African Methodist Episcopal Church in Boston. He is Chairman and Co-Founder of the Ten Point Coalition—an ecumenical group of Christian clergy and lay leaders working to mobilize the greater Boston community around issues affecting black youth; Executive Committee Member, Black Ministerial Alliance; trustee of Catholic Charities of Boston, the United Way of Massachusetts Bay, and the Yawkey Foundation. Pastor Hammond is the author of several papers and articles on a range of issues including abortion, academic achievement, diversity, violence prevention, and the ethics of reproductive technology. As Director of Health Services Research and Quality at HealthCare Chaplaincy Network and President of Handzo Consulting, Rev. Handzo oversees projects devoted to the strategic assessment, planning and management of chaplaincy services and to developing the evidence for the efficacy of chaplaincy care. Rev. Handzo has authored or co-authored over fifty chapters and articles on the practice of spiritual care and chaplaincy care and was the co-principal investigator on a major grant from the John Templeton Foundation investigating the contribution of spiritual care to health care. He was part of two national and one international interdisciplinary consensus conferences developing models and goals for the integration of spiritual care in health care world wide. He is a member of the leadership team of the Global Network for Spirituality and Health. George was the Director of Chaplaincy Services at Memorial Sloan-Kettering Cancer Center for over twenty years. He is a past president of the Association of Professional Chaplains which in 2011 awarded him the Anton Boisen Professional Service award, its highest honor. 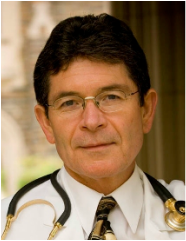 Dr. Koenig is a Professor of Psychiatry and Behavioral Sciences and Associate Professor of Medicine at Duke University, and Director of Duke's Center for Spirituality, Theology and Health. He is widely recognized as a leader in the field of spirituality and health. 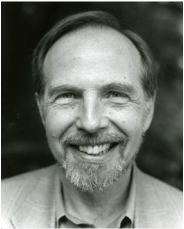 Dr. Koenig has been nominated twice for the Templeton Prize for Progress in Religion. He is the recipient of the 2012 Oskar Pfister Award from the American Psychiatric Association, and the 2013 Gary Collins Award from the American Association of Christian Counselors. He has published extensively in the fields of mental health, geriatrics, and religion, with nearly 450 scientific peer-reviewed articles and book chapters and over 40 books. 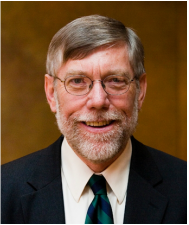 His books include The Handbook of Religion and Health, 2nd edition (Oxford University Press, 2012); his autobiography, The Healing Connection (2004); Spirituality in Patient Care, 3rd edition (2013); Medicine, Religion and Health (2008); Spirituality and Health Research: Methods, Measurement, Statistics, and Resources (2011); and Health and Well-being in Islamic Societies (Springer, 2014). Margaret E. Mohrmann is the Emily Davie and Joseph S. Kornfeld Foundation Professor of Biomedical Ethics at the University of Virginia. She currently holds joint appointments at UVA in the College of Arts & Sciences (Department of Religious Studies) and the School of Medicine. Dr. Mohrmann also serves as the Director for the Program of Biomedical Ethics at the Center for Biomedical Ethics and Humanities. 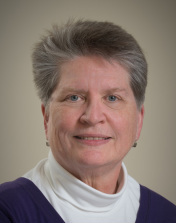 Based on her interdisciplinary scholarship at the intersection of ethics, religion, and medicine, Dr. Mohrmann is in demand nationally as a speaker to a variety of audiences, including physicians, medical students, nurses, theologians, chaplains, and lay persons. She is the author of Attending Children: A Doctor’s Education (Georgetown, 2005) and Medicine As Ministry: Reflections on Suffering, Ethics, and Hope (Pilgrim Press, 1995), and co-editor of Pain Seeking Understanding: Suffering, Medicine, and Faith (Pilgrim Press, 1999). Recent publications include “Ethical Grounding for a Profession of Hospital Chaplaincy,” Hastings Center Report 38: 18-23, 2008; (with Lois Shepherd) “Ready to Listen: Why Welcome Matters,” Journal of Pain and Symptom Management 43(3): 646-50, 2011; and “No Dice: The Resistance to Randomness,” Soundings: An Interdisciplinary Journal 96 (3): 333-53, 2013. Dr. Christina Puchalski is a professor of Medicine and Health Sciences at The George Washington University School of Medicine. 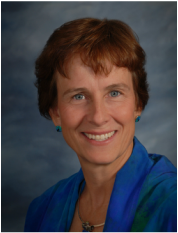 She is an active board-certified clinician in Internal Medicine and Palliative Care. Dr. Christina Puchalski is a pioneer and international leader in the movement to integrate spirituality into healthcare in both the clinical setting and in medical education. As founder and director of the George Washington Institute for Spirituality and Health (GWish) at The George Washington University in Washington, DC, she continues to break new ground in the understanding and integration of spiritual care in a broad spectrum of healthcare environments. The spiritual assessment tool called FICA, which she developed, is used widely in clinical settings around the world. Puchalski is first and foremost a clinician. The cornerstone of her practice in internal medicine, geriatrics, and palliative care is integrating patients’ spiritual beliefs into their care, addressing sensitive medical issues facing seriously ill patients, and supporting healthcare professionals in their provision of compassionate care. Puchalski's work in the field of spirituality and medicine encompasses the clinical, the academic, and the pastoral application of her research and insights. Dr. Puchalski is widely published in journals with work ranging from biochemistry research to issues in ethics, culture, and spirituality and healthcare. She has authored numerous book chapters and published a book with Oxford University Press entitled Time for Listening and Caring: Spirituality and the Care of the Seriously Ill and Dying. She published Making Health Care Whole through Templeton Press. Most recently, she is co-editor of an international textbook on spirituality and health published by Oxford University Press.